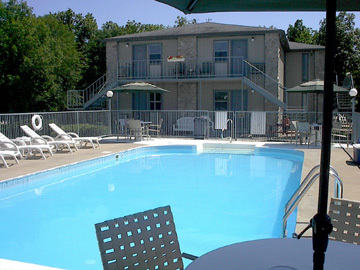 Kitchenette Units (#5, #6) are on the ground floor level of the two-story building by the pool. 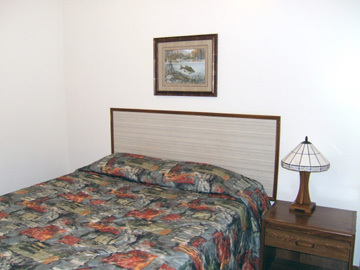 • Queen bed in a private bedroom (linens provided). • Double bed (linens provided) in front room with kitchen. • Table and four chairs. 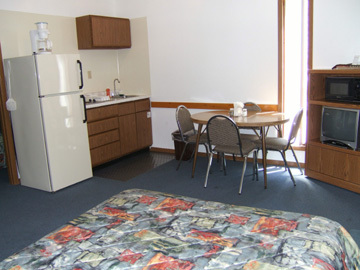 • Full fridge, two-burner cooktop (no oven), microwave, coffee pot. • Place settings for five, pots, pans, dish soap, kitchen towels. 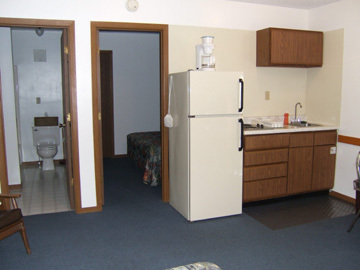 LIMIT: Five per kitchenette unit, including children. Two-night minimum.